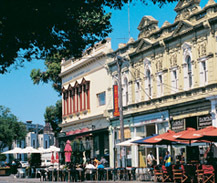 Williamstown is one of Melbourne’s oldest suburbs, located a mere 12km from Melbourne’s CBD yet with the charm of a seaside village. With Restaurants, Cafes, Shops, Yacht Clubs, Scienceworks, Historic buildings and Sightseeing right at the doorstep the location is second to none. Williamstown really does have something for everyone.